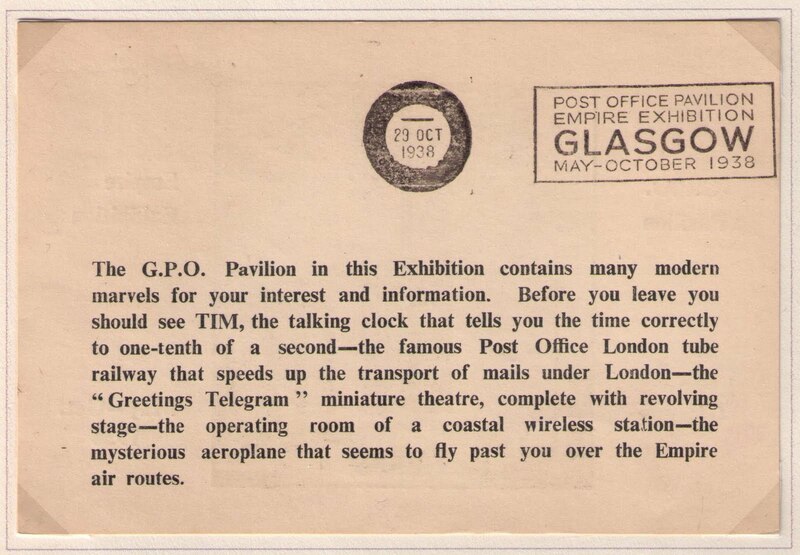 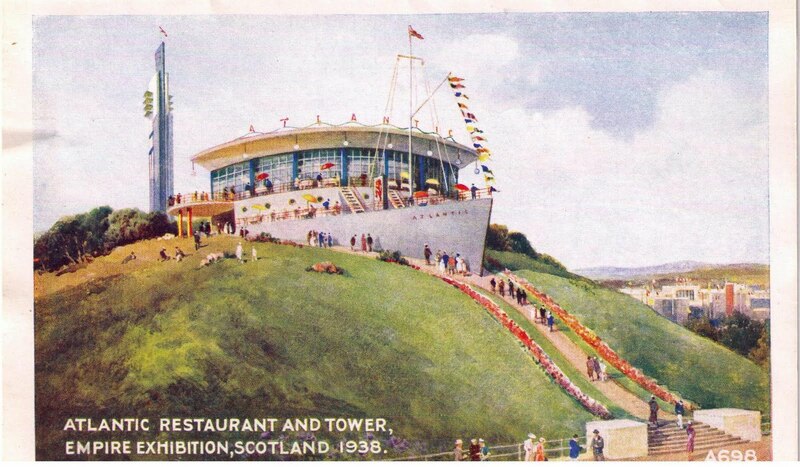 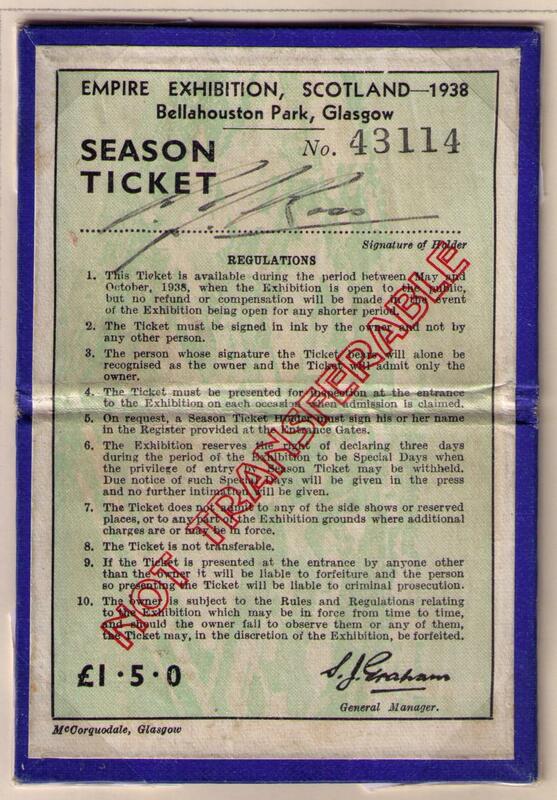 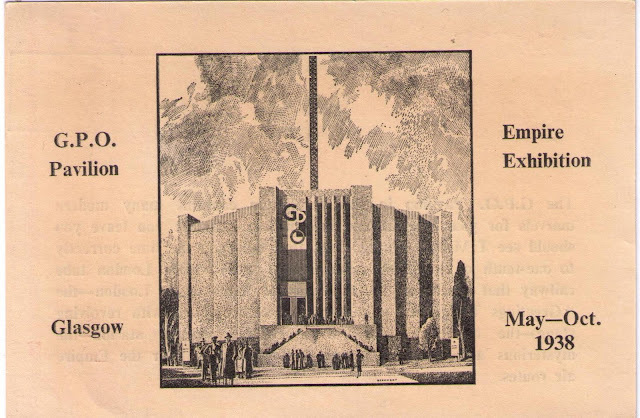 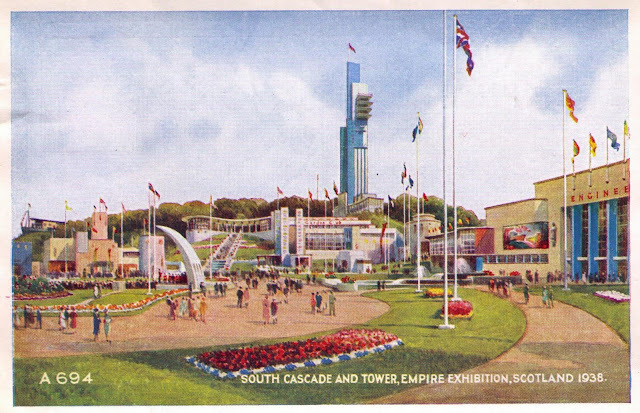 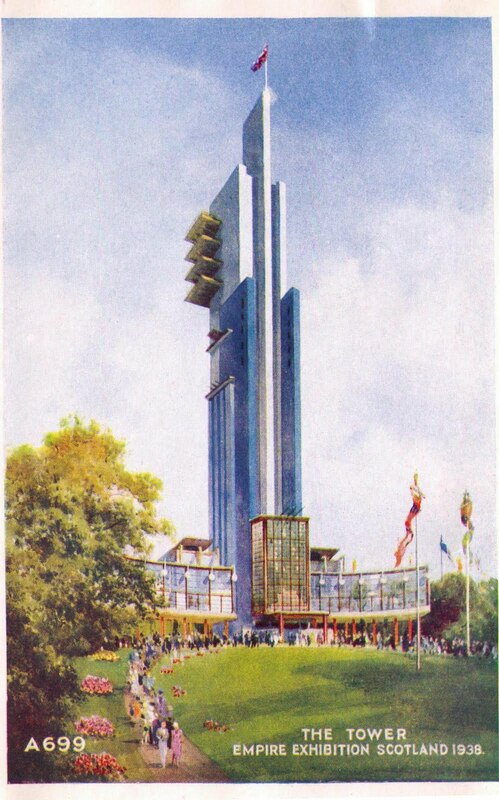 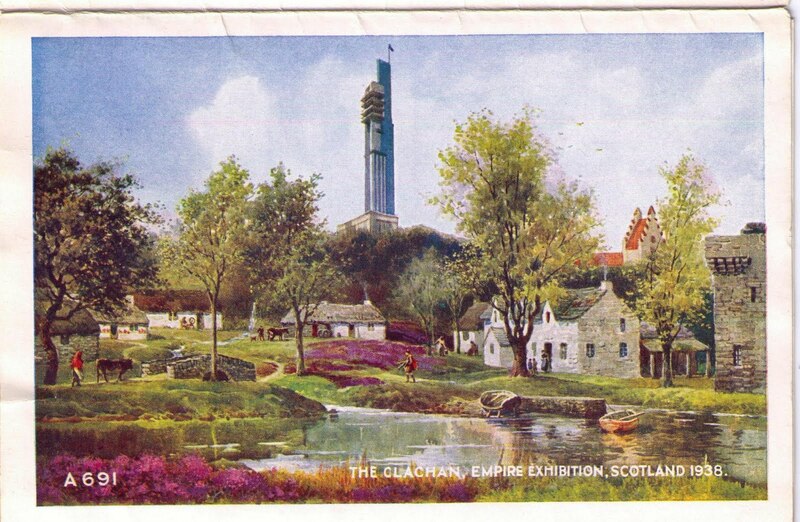 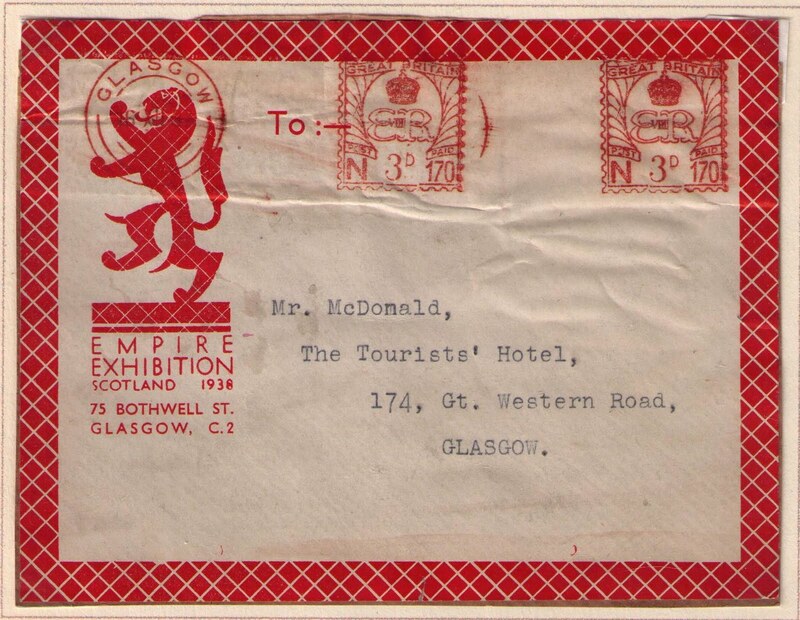 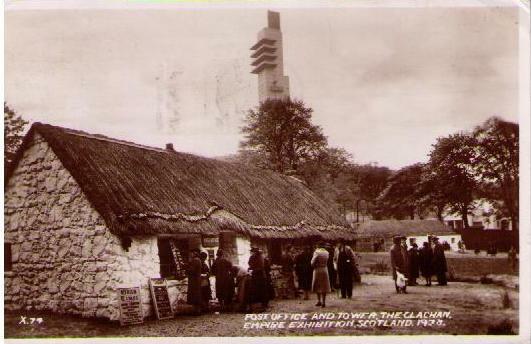 The Empire Exhibition of 1938 was held at Bellahouston Park in Glasgow from May to October, 1938. The Exhibition was created to provide manufacturers in Scotland an opportunity to find new markets in the Empire as well as to showcase British industries. 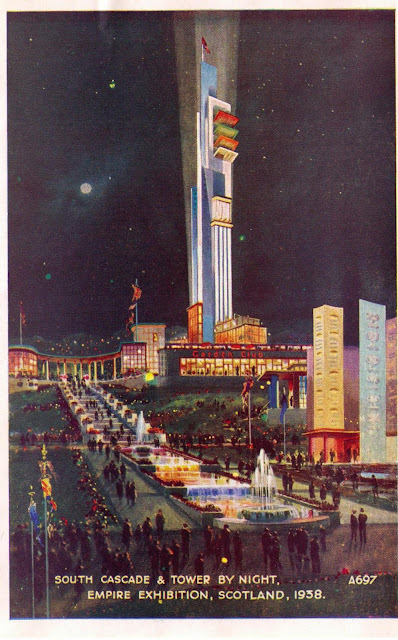 The Exhibition attracted over 12 million visitors. 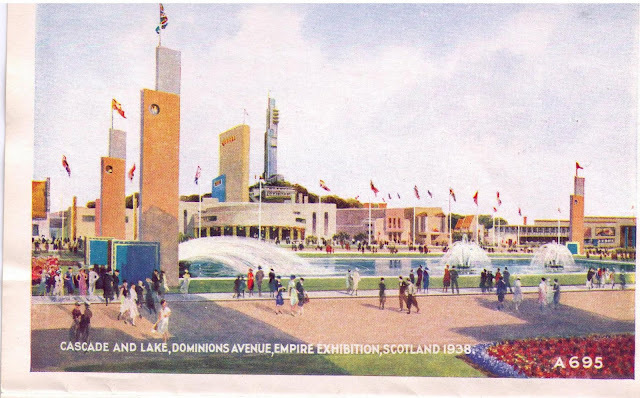 A large pavilion was allocated to British exhibits, two to Scotland, and one to each of the leading Dominions, Malaysia and the West Indies. Private industrial firms occupied 50 pavilions, and other exhibits included the palace of arts, industry, and engineering. The Digital Design Studio of the Glasgow School of Art has created an amazing 3D digital model of the Exhibition on its website. The Exhibition was opened on May 3, 1938, by King George VI and Queen Elizabeth. A British Pathe newsreel of the King's speech can be seen at their website. 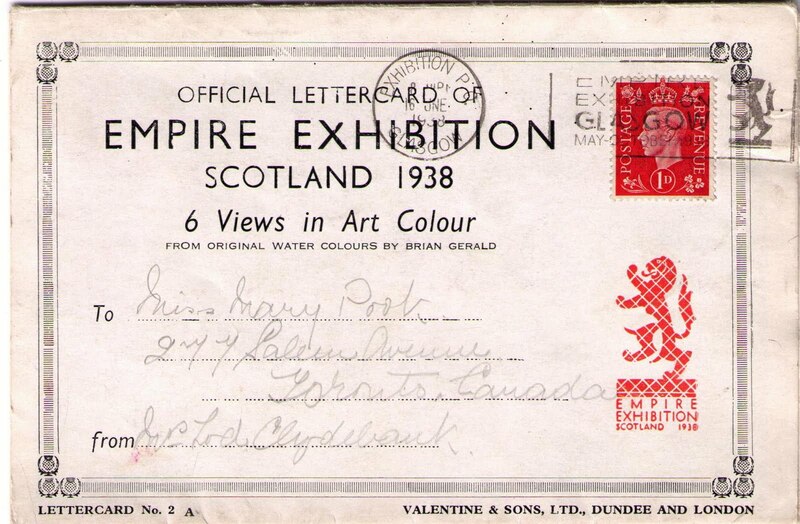 The above recording of the Empire Exhibition opening was viewed by Tom Hooper, director of the film "The King's Speech" and Colin Firth who played George VI in the film. 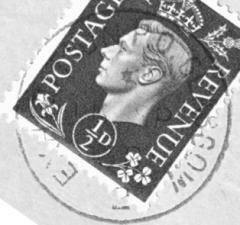 It has been reported that the King's address was so poignant, and the King looked so distressed and sad, that it made Mr. Firth and Mr. Hooper cry. 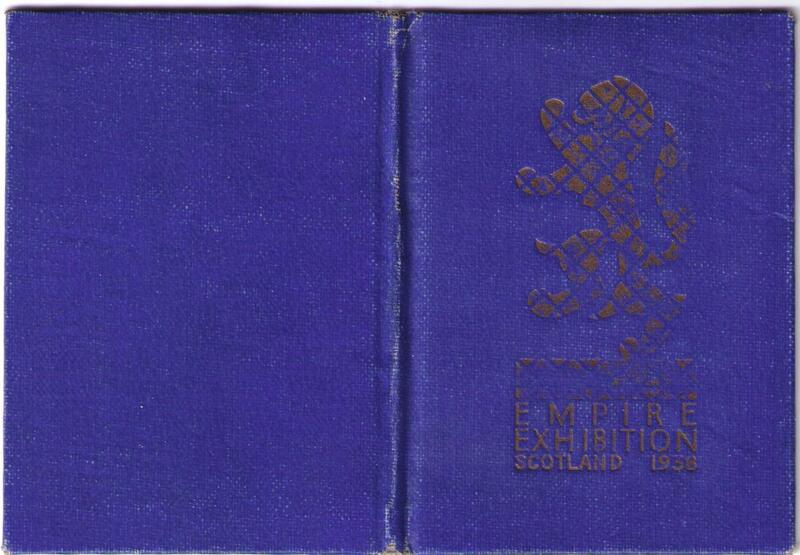 In his speech, the King paid tribute to the enterprise and initiative of Scots, both in their contribution to establishing the British Empire and in setting up the Exhibition. 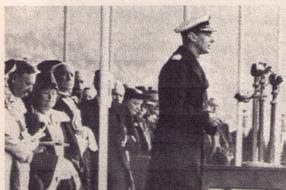 The actual opening ceremony was held at nearby Ibrox Park, home of Rangers Football, allowing a larger crowd to witness the occasion. 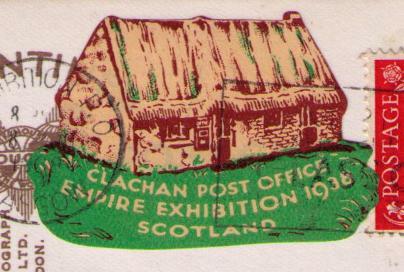 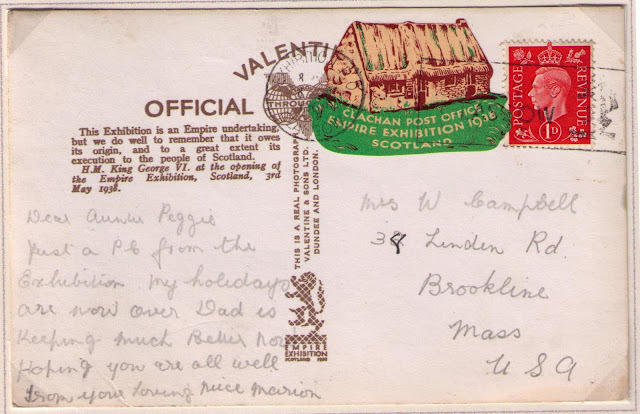 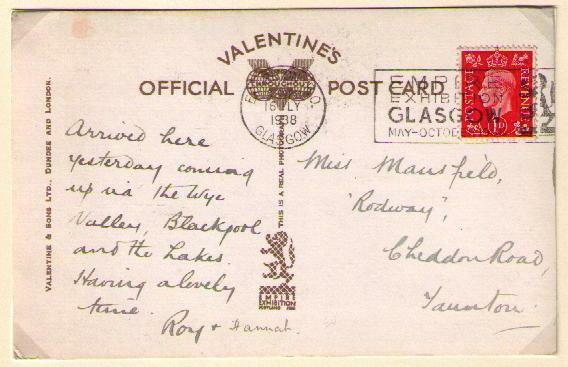 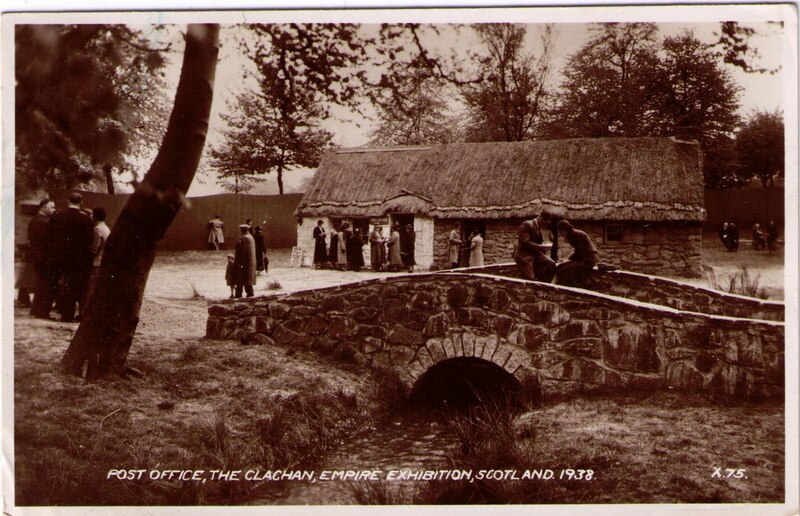 Souvenir lettercards featuring water colours by Brian Gerald were published by Valentine & Sons, Ltd.
A clachan (highland village) was re-created at the Exhibition and included a post office. 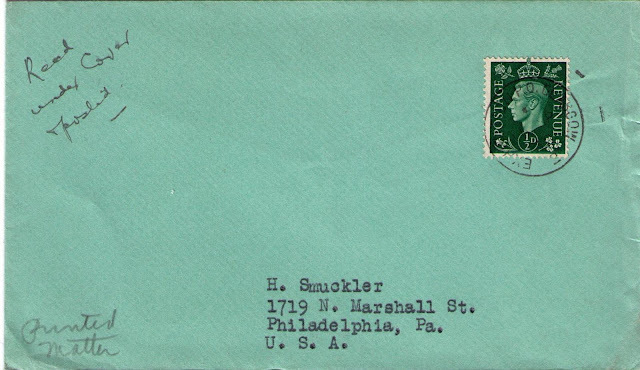 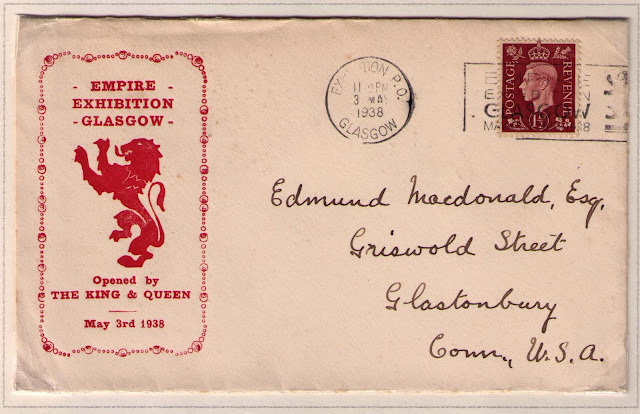 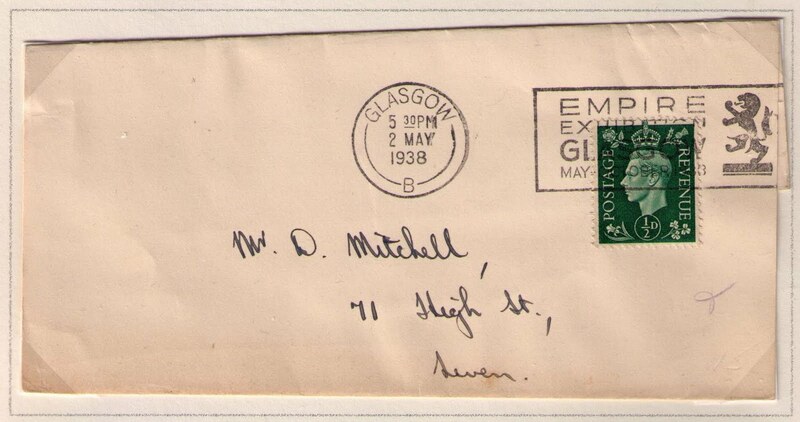 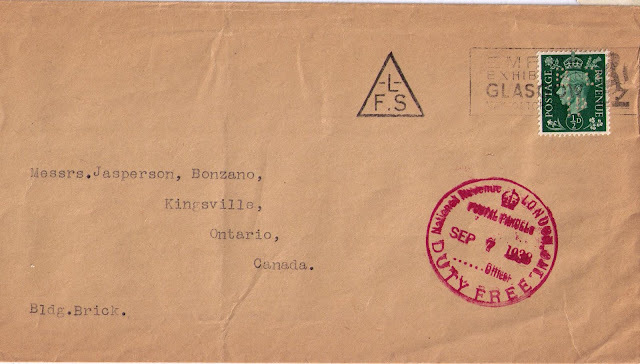 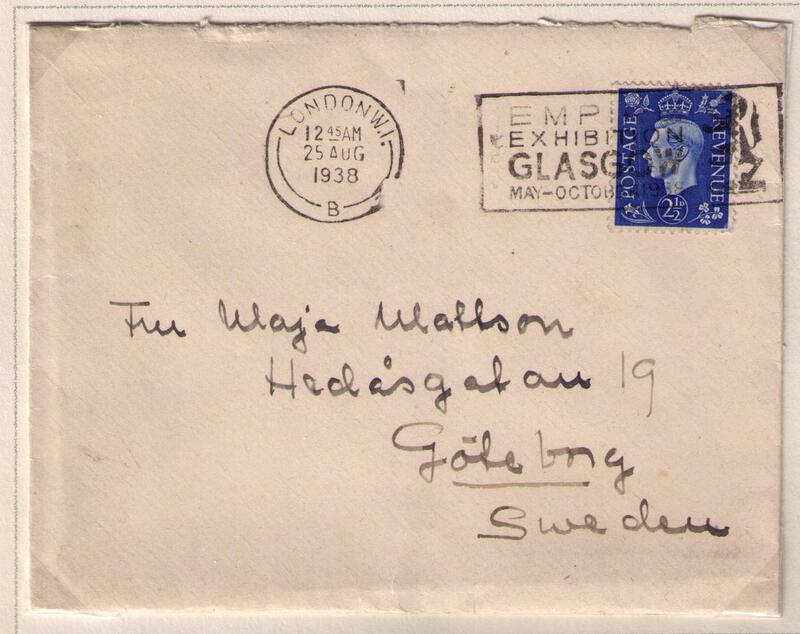 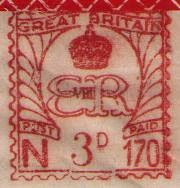 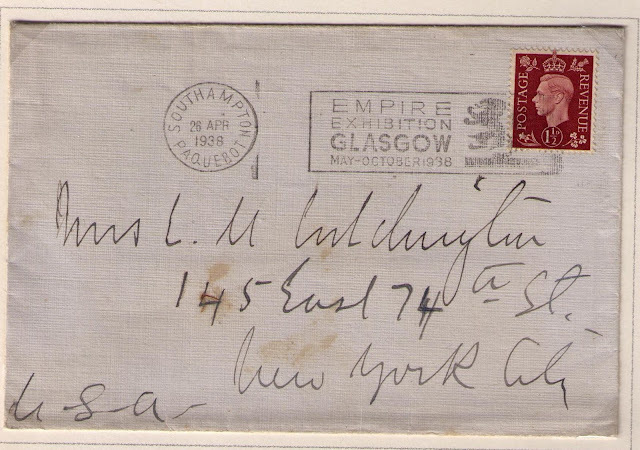 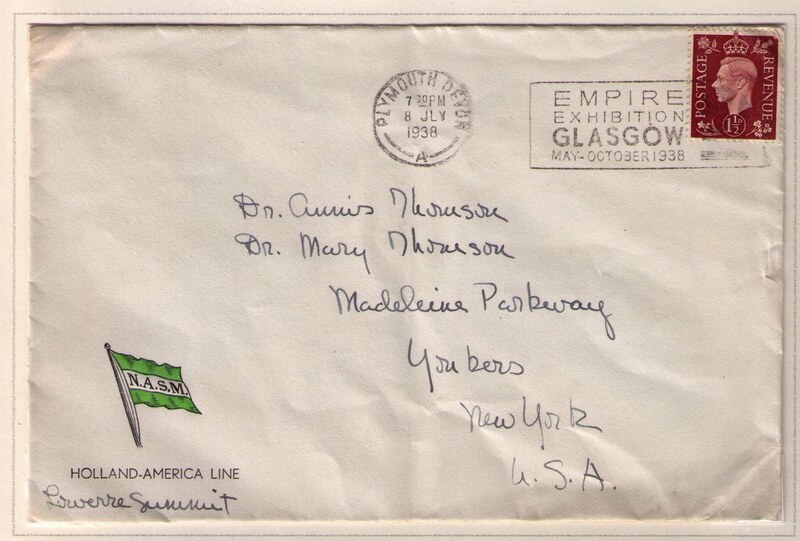 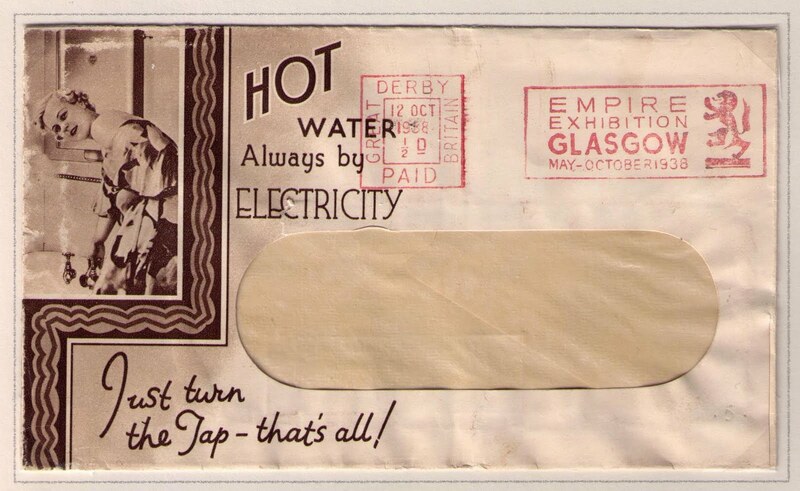 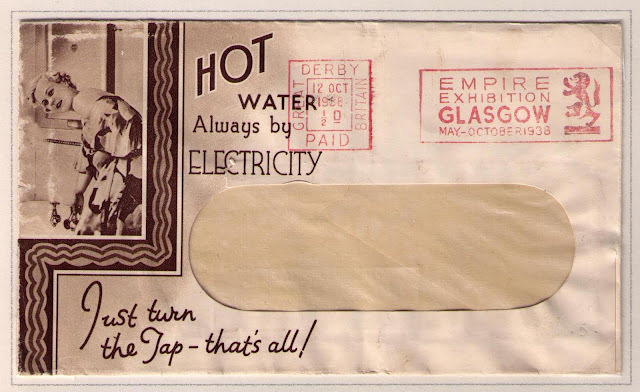 Various postmarks were in use at the Exhibition Post Office.